Image Credit: debaird™/ Flickr. This image has been modified. Most men and women who succumb to heart disease die suddenly without any known history of heart problems. As I note in my 3-min. NutritionFacts.org video How Do Nuts Prevent Sudden Cardiac Death?, up to 55% of men and 68% of women have no clinically recognized heart disease before sudden death. They obviously had rampant heart disease, it just wasn’t recognized until they were lying in the morgue. So if there was ever a case to be made for primary prevention—starting to eat healthier right now, tonight—before symptoms arise, sudden cardiac death is it. Especially since our first symptom is often our last. OK, so how do we do it? Our story begins 43 years ago with a fascinating paper in the New England Journal of Medicine entitled “Sudden Death and Ischemic Heart Disease: Correlation With Hardness of the Local Water Supply.” There appeared to be “an increased susceptibility to lethal arrhythmias [fatal heart rhythms] among residents of soft-water areas.” So maybe one of the minerals found in hard water is protective, but which one? Well, researchers decided to cut some hearts open and find out. On autopsy the hearts of sudden cardiac death victims had significantly lower magnesium concentrations compared to people that just got hit by a bus or something. They thought there might be a connection, but it wasn’t put to the test until recently. Why the decades-long delay in testing a potentially cheap simple way to help prevent our number one killer? That’s exactly the problem: cheap. Where’s magnesium found? Whole grains, greens, beans, nuts, and seeds. Who’s going to fund the study? The pumpkin seed lobby? Big spinach? If magnesium was found to be protective, who’s going to profit? Who’s going to benefit? Other than, of course, the hundreds of thousands of Americans that keel over dead every year without even being able to say goodbye to their families. Watch my video Mineral of the Year–Magnesium to see what the new studies discovered. Yippee! Health nuts ain’t so nutty! i’m learning and sharing so much from you! thanks so much for your wonderful wonderful blog/newsletter!! I’m so glad. Thank you for your interest in my work. Thank you for your great article Dr. Greger. Are minerals such as magnesium depleted from our soils and therefore our food supply due to processing and modern farming methods. 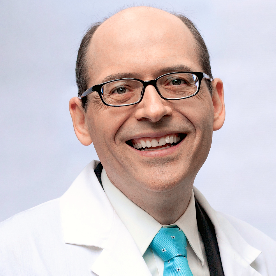 Hi Dr. Greger. My son has been diagnosed with Ectopic Atrial Tachycardia and the pediatric cardiologist is starting him on beta blockers to get his heart rate down. Other than a high quality, food based multivitamin, are there any specific supplements or foods you recommend to help him lower his heart rate? Thanks so much for your expert opinion. I have learned so much from your videos and your website and appreciate you sharing your knowledge and experience with the world. Have a great weekend! Let me suggest that you get a copy of “The Magnesium Miracle” by Carolyn Dean, M.D., ND. She went to medical school (where she states she learned how to dispense drugs) and then to Naturopathic School (where she learned to deal with disease and health). She will also consult with you. She has a website. All the information is in her book. I highly recommend you get a copy for yourself and your son. Best of luck to you.